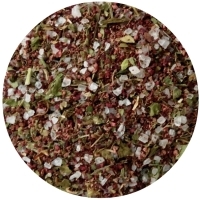 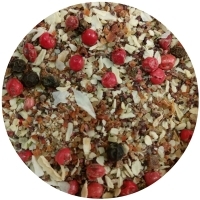 Ingredients: White sea salt coarse (50%), red beetroot granules, dill green, lovage, parsley green. 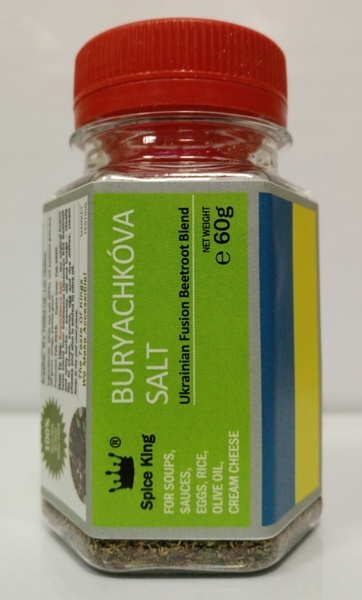 How To Use: Buryachkova Salt the original fusion taste blend from traditional Ukrainian Red Beetroot and spicy herbs – parsley, dill and lovage – ideally fits to soups, sauces, egg and rice dishes, cream cheese and also is added to olive oil. 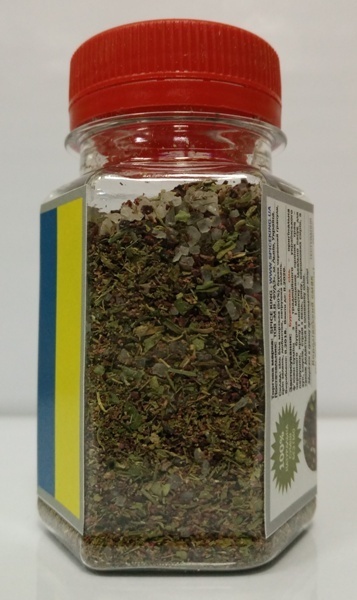 2x1L PET bottles - grams net weight - USD /jar (USD / kg).